100 MILE HOUSE, B.C. - Hunted to near-extinction in North America by the 1950s, the British Columbia wolf population has long since rebounded. Now, this secretive nocturnal predator finds itself in the glare of the public eye once again after the provincial government lifted hunting restrictions on wolves in a region of the province. Ranchers in the Cariboo region say they're relieved that they'll be able to hunt and trap wolves preying on their cattle, but critics say the open season is bad management based on poor science. This summer, the Ministry of Forests and Lands eliminated any bag limit and will keep the wolf hunt season open indefinitely in the region west of the Fraser River on the Chilcotin plateau, said Rodger Stewart, director of resource management for the area in the Interior of the province. Stewart said ranchers and First Nations have been reporting for the past three years an increase in the number of wolves and an increase in the number of wildlife and cattle falling prey to them. "It's quite evident from the information we've got from First Nations and from our own occurrence reports that the frequency of wolf observations and the size and composition of the packs we do see has grown considerably in the last while," Stewart said in an interview. It indicates "a significant imbalance with wolves in the ecosystem." People in the area say not just cattle, but moose and caribou are falling prey in increasing number. "That is of considerable concern to First Nations communities that want to ensure we maintain rigorous game populations for their traditional uses," Stewart said. Nobody from the Tsilhqot'in First Nation was available for comment, but Stewart said the change in regulation in the Cariboo region west of the Fraser River only brings the area in line with the open hunt that has been in place on the east side of the river and other areas of the province for some time. He was adamant it is not a cull. "We're not wiping wolves out. We're managing pack size and density." But Paul Paquet, a biologist with the Raincoast Conservation Foundation, said the ministry doesn't even have the information it would need to make that decision. "What they're basing it on is entirely anecdotal," said Paquet, an adjunct professor in the Faculty of Environmental Design at the University of Calgary. "We don't really know what the wolf populations are, we don't know the extent of predation compared with previous years, we don't know at all if it's having an effect on wild ungulates, deer and elk and moose." It harkens back to the days when wolves were hunted to extinction throughout most the United States and even threatened in Canada, he said. "This is what we were hearing in the 1950s and earlier and we've made a lot of progress since those days. "I understand the kinds of concerns that ranchers have," said Paquet, who grew up on a ranch and is a hunter himself. But rather than reduce livestock predation, he said an open hunt could see young wolves from disrupted packs out hunting the easiest prey they can find: cattle. "We've got very good research from many, many years that have demonstrated that this kind of attempt to reduce populations creates more problems than it solves," said Paquet, who has studied wolves for 40 years. Al Lay, of the provincial Conservation Officer Service, disagrees. "It's not going to solve all the problems but it should lessen their concerns," he said of ranchers. The open season hunt is specific to areas where livestock activity is the heaviest, and where wolves are preying on the cattle. But it's an emotional issue that is divided along urban-rural lines, he said. For Kevin Boon, general manager of the B.C. Cattlemen's Association, it's an issue muddied by misinformation. Boon said cattle producers around Prince George, Vanderhoof and the Peace River region are reporting the same problem. The change in hunting rules basically allows ranchers to shoot wolves near cattle while they're grazing on Crown land, he said. Ranchers don't expect the expanded hunt will resolve the problem but it might help. 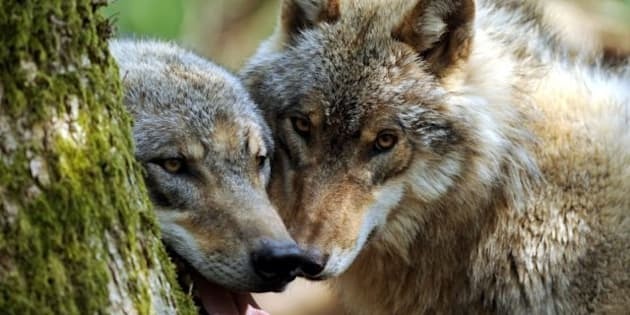 Nobody is out to eradicate wolves, he said, but if something isn't done to control the population, nature will by way of disease or starvation. "Last winter we had ranchers who were coming in and they weren't getting the cattle but they were watching them kill the deer right in their feed yards," Boon said. "When you start seeing them come in and lose that fear, when they're getting hungry enough that they're taking down deer in a guy's yard, it's a really good sign that there are too many of them out there for their own good, too."